Hypertension is associated with increased risk of stroke and bleeding in patients with atrial fibrillation (AF). In the present study, we aimed to investigate the influence of hypertension status in patients with AF receiving treatment with non-vitamin K antagonist oral anticoagulants (NOACs). PubMed, Embase, and Cochrane Library were searched from the inception of each database to November 2017. 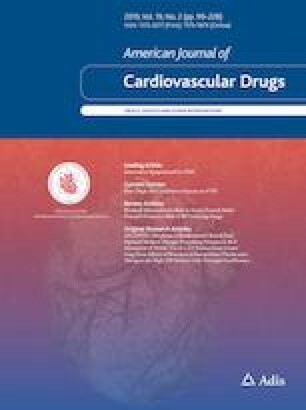 Randomized controlled trials (RCTs) that evaluated NOACs versus warfarin in patients with AF and hypertension were identified. A meta-analysis was performed using random- or fixed-effects models according to the Preferred Reporting Items for Systematic Reviews and Meta-Analyses (PRISMA) guidelines. Five trials (72,967 patients, including 51,378 patients with hypertension) were enrolled. NOACs significantly reduced the risk of stroke and systemic embolism (hazard ratio [HR] 0.87, 95% confidence interval [CI] 0.81–0.94, n = 51,378 patients), hemorrhagic stroke (HR 0.55, 95% CI 0.41–0.74, n = 28,818 patients), death from any cause (HR 0.91, 95% CI 0.85–0.97, n = 43,101 patients), major bleeding (HR 0.78, 95% CI 0.74–0.83, n = 51,378 patients) and intracranial bleeding (HR 0.50, 95% CI 0.38–0.67, n = 27,185 patients). The benefits of NOACs in comparison with warfarin were consistent in AF patients with or without hypertension (Pinteraction for all outcomes > 0.05). Our findings suggest that NOACs can be recommended for the prevention of stroke or systemic embolism in patients with AF and hypertension. Yayuan Zheng, Yuyu Liu and Jihong Bi contributed equally to this work. The online version of this article ( https://doi.org/10.1007/s40256-019-00342-8) contains supplementary material, which is available to authorized users. We acknowledge Dr. Robert P. Giugliano (Brigham and Women’s Hospital and Harvard Medical School, Boston, MA, USA) for providing additional data and substantial support. Yayuan Zheng, Yuyu Liu, Jihong Bi, Weiguang Lai, Chunyu Lin, Jianhong Zhu, Weimin Yao and Qiusheng Chen declare that they have no potential conflicts of interest that might be relevant to the contents of this manuscript. This article does not contain any studies with human participants or animals performed by any of the authors and no informed consent was needed.